Household sizes have been changing in the past several decades. Gone are the days when every household could be just about presumed to have 8 to 12 people in it. 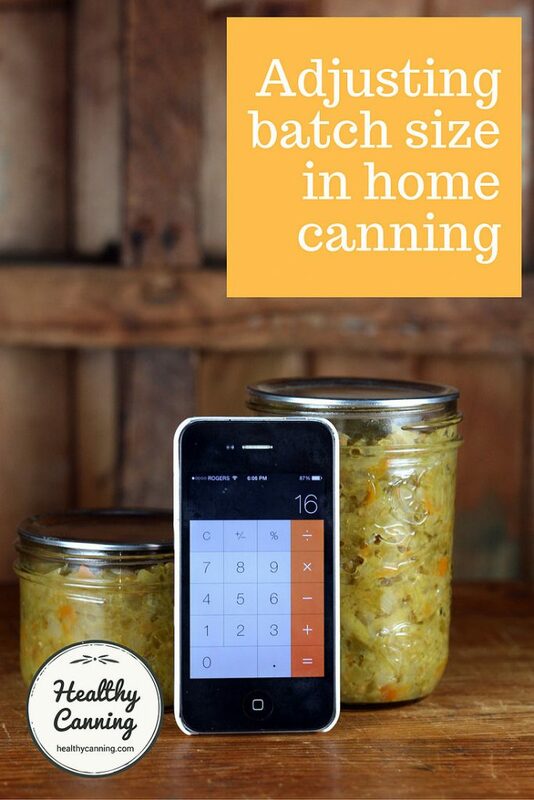 That doesn’t mean, however, that even those households exclusively want small-batch canning recipes. Even smaller households at times want larger-batch recipes when they are making gifts for Christmas. Or, when an over-exuberant garden hands them a “can it or lose it” situation, and they want to just safely can the food to avoid waste, and then find a home for it later. And large households may only want to a make a few jars of a few things, either because that’s all they have the ingredients for, or, only a few in the household are fans of a particular preserve. So, one size doesn’t fit all, all the time here. 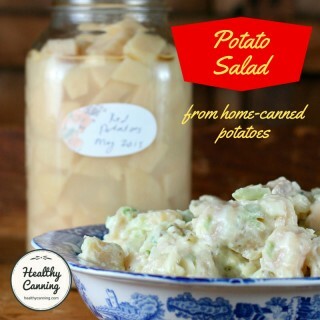 Most of the USDA’s pressure canning recipes are flex-batch. They will tell you what quantity of jars you can roughly expect per quantity of produce you are working with, and that’s it: you’re on your own, otherwise. The USDA’s famous pie filling recipes are also flex-batch. They will give ingredient quantities for 1 jar, and 7 jars, but you are on your own for figuring out jar yields outside those two ranges. 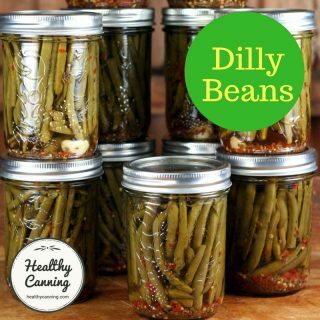 Otherwise, as a rule of thumb, many USDA recipes seem to aim to produce as many jars as will provide a “canner load”, so that canners are running at maximum fuel efficiency, though there are of course exception recipes. Jams and jellies made with traditional pectin are notorious for being rigid in their batch sizes. 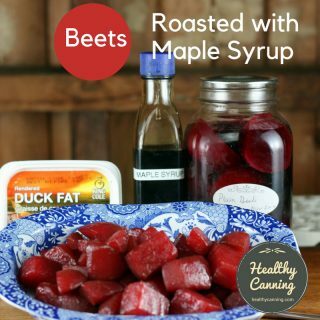 The reason is that if you try to double the batch, your set on the jam or jelly may often actually fail completely, and the manufacturer of the pectin doesn’t want to be blamed for that. For best results, make only one [jelly] recipe at a time, using no more than 6 to 8 cups [Ed: 1.5 to 2 litres] of juice. Doubled batches do not always gel properly.” Andress, Elizabeth L. and Judy A. Harrison. So Easy to Preserve. University of Georgia Cooperative Extension. Bulletin 989. Sixth Edition. 2014. Page 201. If you want more flexibility in batch sizes of jams or jellies, you need to use Ball’s Flex Batch pectin (which allows you to make 1 to 10 jars per batch), or, a pectin such as Pomona which is entirely flexible. Pomona is completely happy with you doubling or even tripling any recipe that uses Pomona Pectin. (They do advise, though, against quadrupling the recipes “unless you are specifically set up for it,” presumably meaning large enough pots for the in-jar processing, etc.) Can I double or triple a Pomona’s cooked recipe? Accessed November 2016. We challenged Ball about the credibility of such a statement in relation to non jam or jelly recipes, and received a private message response from them. So, in truth, they are worried that people will make basic math mistakes in adjusting a recipe. So, do your math folks, and you are good to go. Lord knows, Ball’s recipes as printed are no iron-clad guarantee of correctness, either: canning groups are often abuzz with the latest whopper error discovered in one of Ball’s books. Ensure that you have adequate full-strength stove burners to run all the canners to process all packed jars at once (no holding filled jars for a second canner run later). And to be clear, again: Only adjust batch sizes on jams and jellies if you are using Ball Flex-Batch pectin, Pomona pectin, or another commercial pectin that comes on the market allowing flexible batches for those products. Energy consumption is now looming larger as a priority for people, both because of soaring energy costs, and because people want to reduce their carbon footprint. Owing to the trend for “small-batch canning”, people such as Ball are now releasing many recipes such as pasta sauces and salsas that yield only 3 jars. But remember, Ball’s not paid to worry about your carbon footprint or your energy usage bills, so you have to. It can be seen as energy inefficient to run a canner, be it a water-bath canner or pressure canner, for only a couple of jars. If a batch yield of three jars of spaghetti sauce is best for you, because you would waste food by doing more or just want to taste test the recipe first, that is fine. But if you know you can go through more than three jars of spaghetti sauce in a year, it will be more efficient energy-wise to double the batch, and do six jars. Or nine, if that is appropriate. If you need to reduce a batch size, because you only have half the produce required and want to use the produce up while it is still good,or you know that is all you can get through in a year, then running a canner with half a batch is smarter than letting food go to waste, unused. You are your own “smart use of resources” control board in this aspect. Again, just do and write out your math before starting to work on the recipe. It avoids mistakes while working, and, can force you to think if you really do have everything. Scaling up recipes to commercial batch sizes. Multiplying the ingredients to make a larger batch size does not always work. Virginia Food Processor Technical Assistance Program has some some helpful hints: (1) Volume measurements are imprecise. Convert volume measurements to weight equivalents before multiplying up. (2) Taste nuances may change at large batch sizes. You’ll need to make experimental additions or substractions of flavorings such like sweeteners, acids, herbs and spices. (3) Jams and jellies must be made in small batches to gel properly.” Rayner, Lisa. The Natural Canning Resource Book. The Natural Canning Resource Book. Flagstaff, Arizona: Lifeweaver LLC. 2010. Page 105. 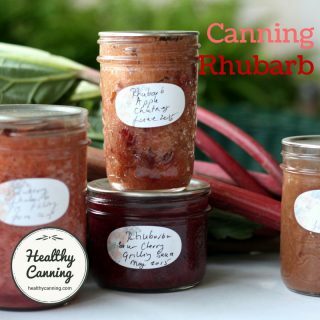 The first book on small batch home canning was probably published in 2001, “The Complete Book of Small-Batch Preserving.” Written by Ellie Topp, it’s considered a safe canning book by many informed, experienced canners, as Topp has a Masters degree in food science (University of Wisconsin) and was a research associate in the Department of Food Research at the University of Illinois. 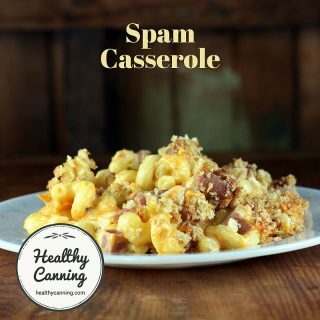 Several of the recipes were developed in collaboration with labs at Health Canada and then later published as an academic paper in the peer-reviewed journal, Food Research International (Topp, E.B., F.J. Cook, G.C. Topp. “Heating oils with fresh vegetable inclusions: modelling and measurement of heating pattern.” Vol.36  831-842). Finally, in 2012, the “big boy” joined the trend, with Ball’s release of the “All New Ball “. Many of the recipes in here are a decided break in yield from both the Ball Blue Book and the Ball Complete. In fact, so much so, that Ball felt compelled to state for the first time ever what they considered a minimum acceptable jar load for pressure canners. 1. ↑ Andress, Elizabeth L. and Judy A. Harrison. So Easy to Preserve. University of Georgia Cooperative Extension. Bulletin 989. Sixth Edition. 2014. Page 201. 2. ↑ Can I double or triple a Pomona’s cooked recipe? Accessed November 2016. 5. ↑ Rayner, Lisa. The Natural Canning Resource Book. The Natural Canning Resource Book. Flagstaff, Arizona: Lifeweaver LLC. 2010. Page 105.